A few months back I wrote to ask for help diagnosing an intermittent charging issue. Several faq’ers wrote with great suggestions and though the immediate problem was a bad ground that was easily fixed, my alternator eventually gave up the ghost. Rather than go the rebuild route, I decided to buy a locally sourced reman’d unit from Bosch for just a few bucks more. My plan was to install it this weekend but after looking at the wires going to the plug, and the questionable connectors/crimps from the previous owner, I decided it’s best to replace that section of the harness first. 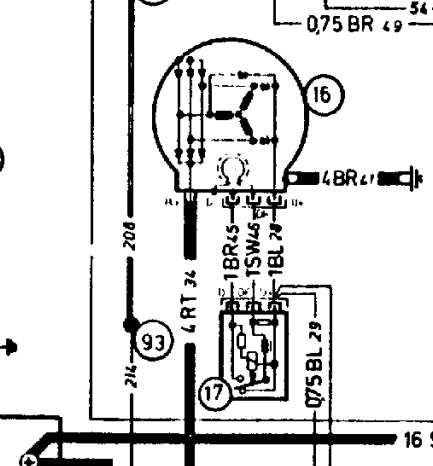 I know the alternator wire size is 10 gauge but can someone confirm what the correct gauge size of the D+, DF, and D- connections to the plug should be? Here’s a pic of what I’m replacing. Thanks! The wiring diagrams in the Blue Book lists the area of the wires in mm2. Here are those values. The area is the number just before the color code. Note that the earth and live wires are the same value for wire thickness. The numbers don't exactly match our AWG units but you can get close. That red wire is not happy. looks like the crimp is getting pretty hot. You have some high resistance there. Thanks halboyles- this is helpful! Yes tech71, that’s what I noticed as well. It should be much happier once I finish! This has been debated many times but I have had to replace numerous soldered connections on '02s that were subpar and dangerous. The solder had creeped into the wire under the insulation and created a very stiff wire and melted insulation. 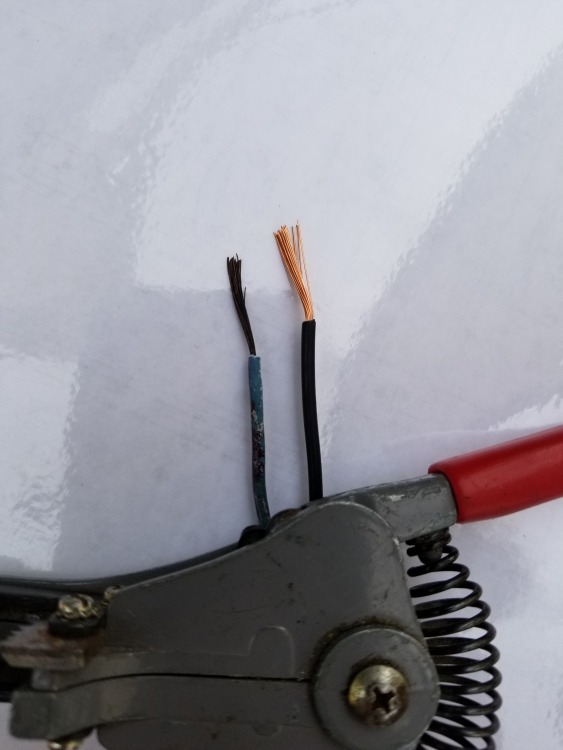 Also I don't recall any manufacturer using solder instead of crimping automotive connections. You can, of course, do both types of connections well or poorly. But a well crimped connection is exactly what the manufacturers use. You'll need to get a good set of wire strippers and a professional set of crimpers. 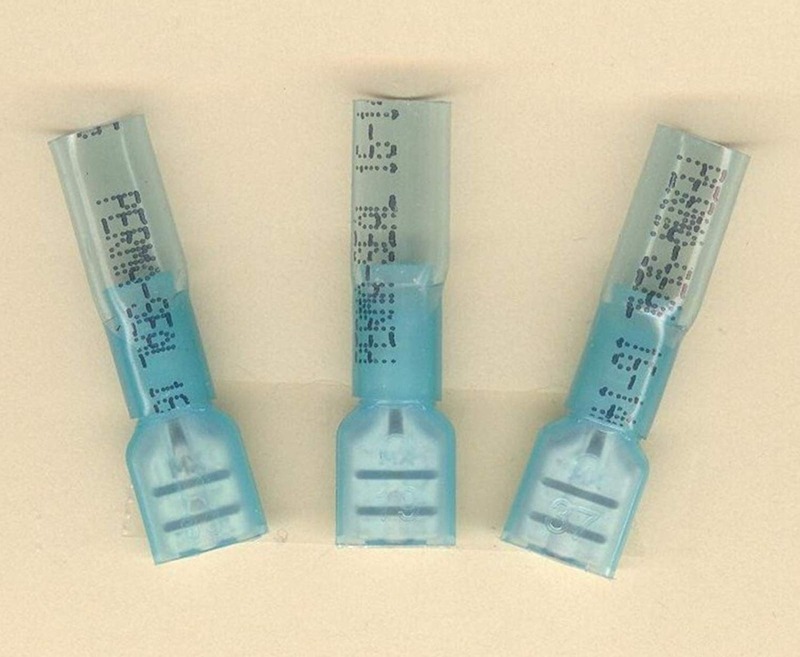 If you are going to be doing even a dozen crimps, you should use properly sized connectors made with the Perma-Seal heat-shrink technology. Slightly more expensive but they create a long term excellent connection. I even put shrink wrap over the connections for more protection. Funny, I’ve YouTubed the crap out of both options, read numerous arguments for both and felt that soldering/shrink wrapping would’ve been a cleaner look. But ultimately the more compelling evidence suggests that crimping is king! Thanks for for your thoughts and the perma-seal recommendation! So the one thing I can’t figure out on my harness...from the alternator plug to the really poor splices the wire is 16g but from the splice down the harness the wire is 14g. And, the b+ red wire is of course 10g but prior to the burnt splice, there are two 14g wires. Is this standard? Having said that, I still favor a good crimp connection for anything high amperage like that alternator hot wire. But Halboyles is right. It is all about doing the connection right and protecting it with a decent shrink wrap. All of the above heat shrink solutions are well and good, but how do you insert the tabbed spade connectors in the 3 wire plugs? 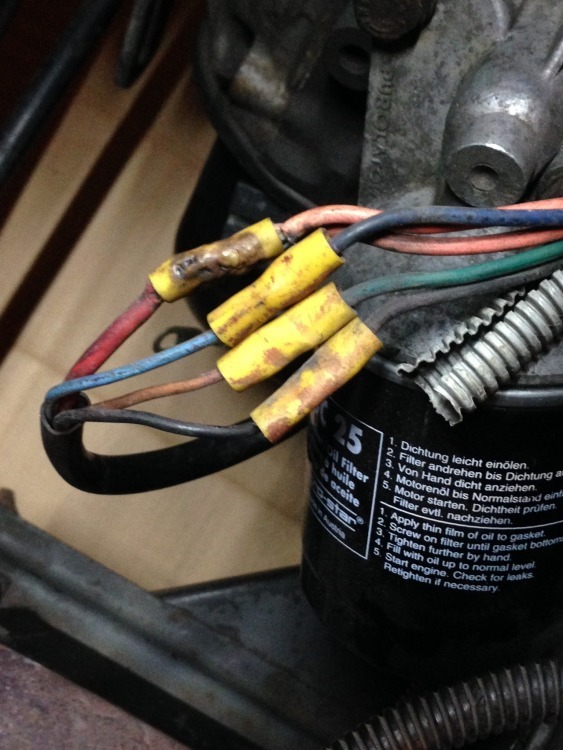 The brown, blue and black wires are all 1mm and really act as wires that carry the current between the voltage regulator and the alternator......That distance is (only) ~1 meter, so why don't you just make up a new harness instead of crimping two (40 year old) pieces together? 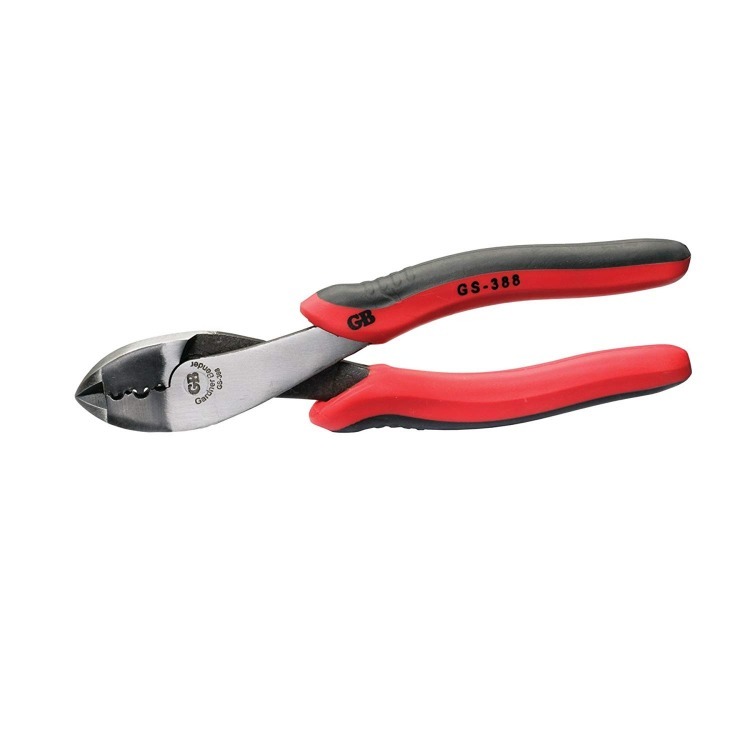 The red wire, at 4mm, should stand alone and not be crimped together for best efficiency. 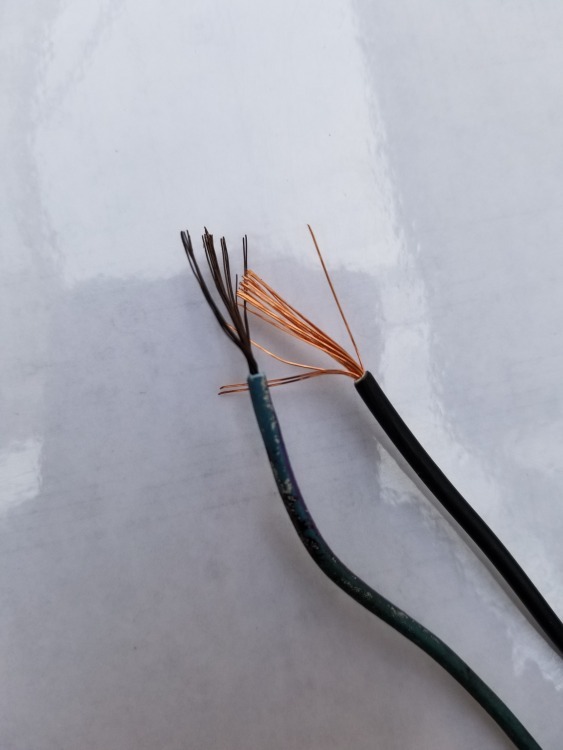 When you see wires that badly overheated or corroded at the crimp, you can bet that the damage extends some distance form the end of the run. Here is a pic of a wire I replaced just yesterday. It was this black about 6 inches from the termination! Also note that it is not just corroded around the perimeter but around each strand of the cable. New wire on the right , original 45 year-old wire on the left.